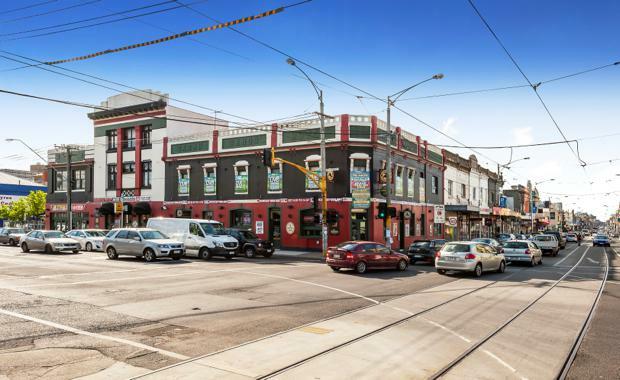 A strong appetite for well located Victorian hotel assets has fuelled a hot contest at the recent auction of the well-known Bridie O’Reilly’s pub in Brunswick. Colliers International’s Guy Wells and Pat Connolly, in conjunction with Jonathon McCormack and Alex Ham of Gross Waddell, have sold the popular pub at 29 Sydney Road immediately after auction for $6.03 million. The sale reflected a yield of 4.23 per cent. Mr Wells said the prominent corner hotel was sold after multiple parties competed at auction. The opening bid was $5 million. It was purchased by Peregrine Projects, a local developer with plans to retain the original heritage corner pub while developing up to 60 apartments over five levels on the remainder of the block. The property was sold on behalf of local builder and investor John Connellan, who had held the hotel for 18 years after redeveloping it for The Bridie O’Reilly group. The prominent hotel comprises a ground floor lounge area, large dining room / nighclub area and outdoor courtyard. The first floor provides various offices and storage areas along with a former managers residence. Situated at the corner of Brunswick and Sydney Roads with additional frontage to Black Street, Mr Wells said the property represented an opportunity for investors and developers alike. Bridie O’Reilly’s is located at the boundary of Brunswick and Parkville, about 3.5km north of the Melbourne CBD. Formerly known as the Sarah Sands Hotel, it was extensively refurbished in 1997 and now operates as an Irish themed pub and entertainment venue.